Welcome to the Star Trek Online section. 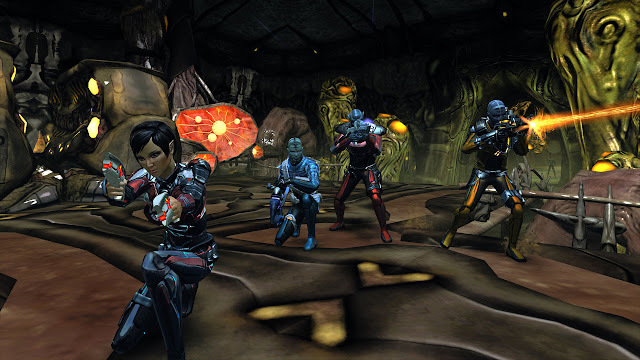 Star Trek Online is an MMORPG set in the Star Trek Universe. The game is set in the 25th century, 30 years after the events of Star Trek Nemesis. STO is the very first massively miltiplayer online role-playing game in the Star Trek franchise and was released February 2, 2010. The game went free to play on January 17, 2012. The free-to-play version offers everything the full game does. A veteran Rewards program grants players additional perks, titles and items based on their total paid subscription time, so it's still more beneficial to have a subscription to the game.